Caraway seed is used to flavor liqueurs, teas, soups, breads and other baked goods. It is widely used in Scandinavian cooking, as well as in German, Russian and Indian cuisines. why buy whole caraway seed? Multiple culinary uses. appearance & aroma Grayish-brown with ridges and an anise-like aroma. culinary Use in cakes, breads, muffins and cookies. Caraway seed also flavors braised meats and vegetables. May also be prepared as tea. 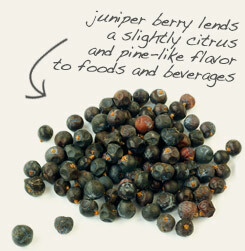 Use caraway seed and juniper berries together to flavor stews and braised meats. 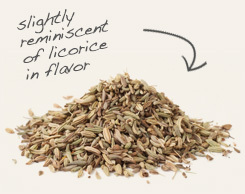 Fennel and caraway share similar flavor and digestive qualities. Vaguely similar to licorice or anise, but tempered with peppery undertones. Caraway seed is said to be Europe’s first spice, with a history that begins in ancient Rome and eventually reaching Scandinavia during the Middle Ages. It is a staple flavoring agent and condiment in Northern, Central and Eastern European cuisines. In North Africa, caraway seed is a key ingredient in a pungent chili paste called harissa that is used to flavor stews, soups and couscous. Although caraway grows freely in the Alpine meadows of Germany, the plant was carefully cultivated in medieval monasteries and the dried fruits were harvested for food as well as for their carminative and anti-flatulent properties. In fact, according to tradition, a cup of caraway tea is not only capable of dispelling gas, but can also ensure that true love never strays. The latter belief is preserved in the practice of feeding caraway seed to homing pigeons so that they can always find their way back to the roost. Background: Caraway is native to the area surrounding the Mediterranean and Europe. Seed is used primarily. Leaf and root are also edible. One of the oldest cultivated spices use dates back to 3000-4000 BC. In ancient times, Egyptians applied the seed in protecting their dead from evil spirits, and Greeks and Romans used it as food. Caesar's army ate chara, a bread made of the root. Its use and cultivation spread from Arabia to Northern Europe during the middle ages. Herbal lore ascribed it the power to prevent loss and theft. It was used in love potions. It is still used in seed mixtures to attract birds and to keep chickens and other domesticated birds from seeking other feeding spots. Properly stored, the seeds will remain flavorful for months. It is best to add seeds after the recipe is cooked. Their sweet aroma and flavor are reminiscent of anise seed and fennel. It is featured in foods of Germany, Austria, eastern Europe, and Scandinavia. 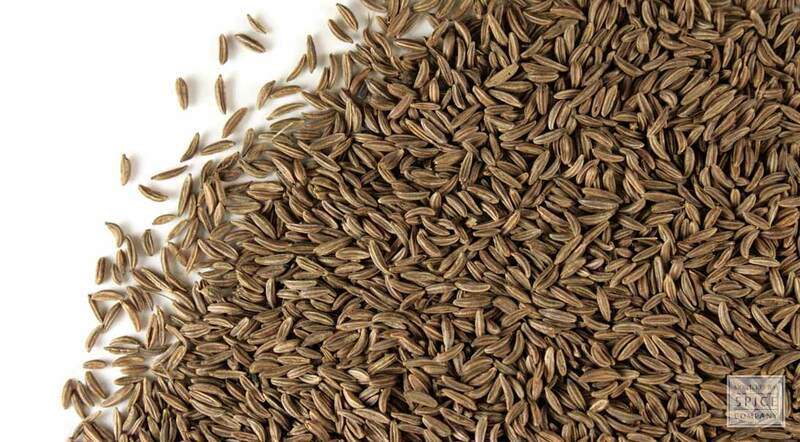 Caraway seeds can be freshen breath and its essential oil is found in many mouthwashes, toothpastes and chewing gums. It is used in several liquor recipes and to improve the flavor of various complementary herbal combinations.